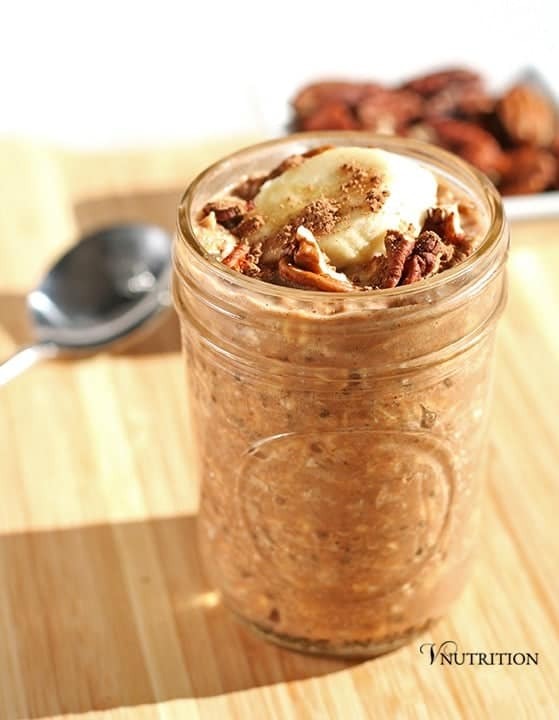 Peanut Butter Chocolate Overnight Oats - the perfect dessert for breakfast! The first time I heard of overnight oats I wasn’t sure how I felt about the whole idea. I’m not a big fan of oatmeal. People rave about overnight oats so thought I’d give them a try. I’m so glad I did because they are soooo good! 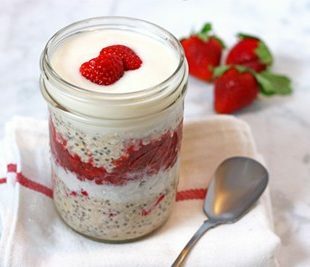 I now love overnight oats so much that I have made lots of different versions like Lemon, Strawberries and Cream, and Blueberry Lemon Cheesecake. My take on overnight oats involves peanut butter and chocolate because those are two of my favorite ingredients. These peanut butter and chocolate overnight oats taste a lot like dessert without all the sugar. I add a little maple sugar for sweetness but these contain no refined sugar. It’s a fun way to start the day and I bet kids would love these too. If you don’t like peanut butter (say whaaat?) or if you are allergic, you can use almond butter or another nut butter. If you’re allergic to nuts, try some tahini which is made with sesame seeds. Matt and I are usually running around so much in the mornings that it’s nice not to have another thing to think about. 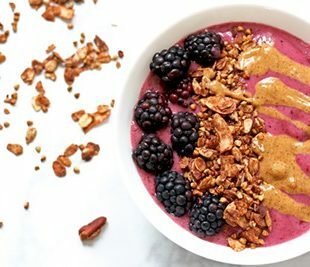 While I love my smoothie bowls and baked oatmeal I usually save those for the weekends. I can make my overnight oats the night before and just grab them and go the next morning – so easy. 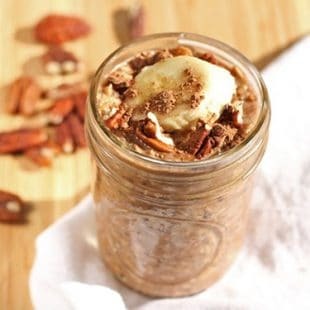 Nutrition-wise, these peanut butter chocolate overnight oats are a great way to start the morning. Rolled oats are a good source of carbs, protein, dietary fiber, and iron. Cacao powder adds antioxidants, magnesium and iron, while chia seeds add fiber and omega-3s. I hope you like this chocolatey breakfast idea as much as I do! I’m obsessed with coming up with new versions of these overnight oats so stay tuned for more options! 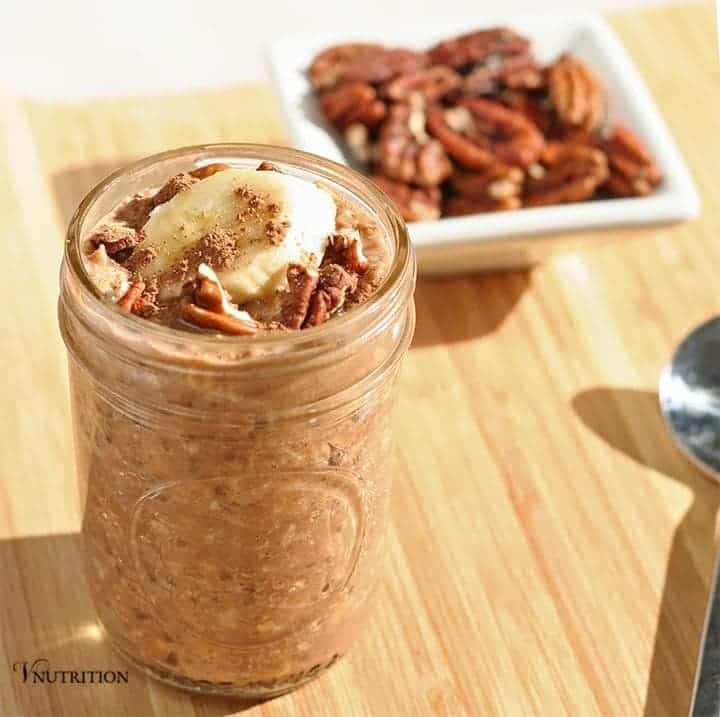 If you make this peanut butter chocolate overnight oats recipe, let me know what you think by ★ star rating it and leaving a comment below. Two tasty flavors combine to form the perfect combo for these peanut butter chocolate overnight oats. They're a tasty breakfast but also great for an afternoon or after dinner snack! I like to mix the wet ingredients (through peanut butter) in a bowl first to make for easier mixing. Transfer the mixture into a small mason jar or a container with lid/saran wrap. Place in the fridge overnight or a few hours until oats are completely softened. You can store the overnight oats in the fridge for up to 3 days. If you keep your peanut butter in the refrigerator, it's usually easier to mix if you take it out of the fridge about 10 minutes beforehand so it's not as hard. You can substitute another nut butter like almond butter for peanut butter if you're not a fan. Or if you're allergic to nuts, you can substitute tahini which is made from sesame seeds. I have not tried tahini in this yet but I would add a bit more vanilla to the recipe if using tahini as it has a milder taste than nuts do. This looks wonderful and like a nice way to get out of my smoothie rut, thanks! I’ve never been a huge oatmeal person either. I’m an overnight oat junky!! I especially like to make this the night before my long-run days =) It tastes SO GOOD after a hard workout. And I love your take on it. Thanks so much for sharing this at HVF! I’m featuring your recipe this week. Pinning! That’s a great idea Kimmy! I’m going to do a longer run this weekend (hopefully) and I’ll make these the night before to have a tasty treat awaiting me when I get home! Thank you so much for featuring me on HVF! It is funny, oatmeal is something people either love or hate. I am not a huge fan, but I tend to like savory or raw versions of it. I still haven’t tried the overnight oats yet, though I might give this one a try. That looks absolutely delicious! 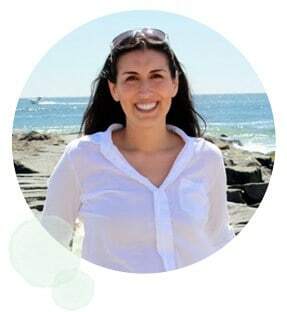 Thank you Kimmy from “Rock my Vegan Socks” for this wonderful blog discovery! It’s always to so fun to see what fellow bloggers have to share! Thanks Allison! I just started eating them myself and was surprised how much I like them! 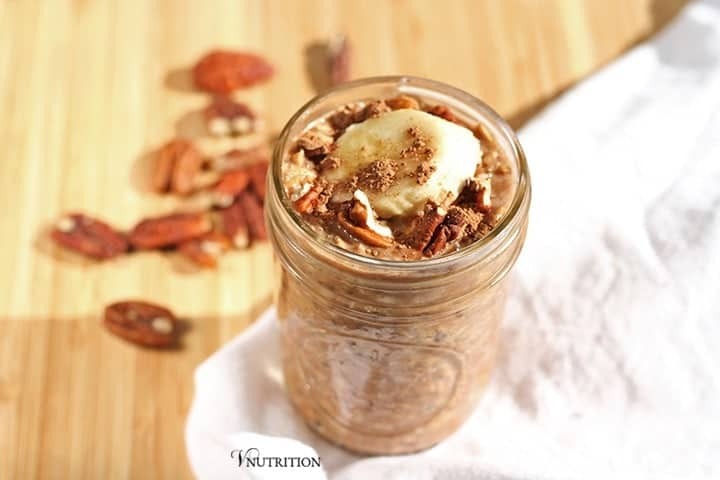 Can’t go wrong with peanut butter, chocolate, or overnight oats! All of my favs and one of my favorite combos! I also love the addition of chia seeds like you, I find people are either love or hate with that one. Thank you for linking up with us, happy Meatless Monday! Thanks Sarah! Happy Meatless Monday! I really need to get on the overnight oats bandwagon. Thanks for linking up! im not an oatmeal person but i do enjoy it overnight..and of course with pb and chocolate!! It’s funny how some people like us can do overnight oats and not regular oatmeal! Aw, I’m glad you can eat it again! That must have been tough. Sometimes what we like or don’t like to eat can be kind of odd to ourselves (like me with oatmeal and kimchi haha). 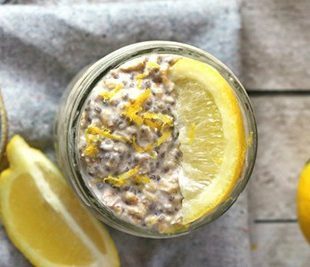 I have not tried the overnight oats, but this looks delicious! Looking forward to giving it a try, Pinned 🙂 Thank you for sharing at the Sunday Fitness & Food Link-Up. Have a Great Week!! Thanks Angela! Let me know if you like them when you try them! Congrats on your feature at Sunday Fitness and Food Link-Up! Can you leave out the chia seeds and still turn out ok?? Hi Bridget! Thanks for stopping by! I’ve actually never tried it without the chia seeds. I add them because it kind of binds everything together. A little yogurt might do the same thing. If you do try it without the seeds let me know what you think! can’t wait to try these!! I always forget about oatmeal and I’m always drinking my advocare meal shake when I have to go into work early! My question, sorry if it’s already been answered..how many servings does this recipe call for? Thank you! Hi Sondra! Thanks so much! Oh, these are delicious! I’m Scottish, so already a porridge lover 🙂 But this was my first try of chilled oats. Definitely going to try some of the other combinations now! This was so yummy that I ate half of it right away! I used peanut butter powder as opposed to peanut butter, and I love almond extract so I did that instead of vanilla. Can’t wait to have my kids try it – they will love it!! I’m so happy that you enjoyed the oats Kristin! Great substitutions. I bet the almond extract is yummy! I hope the kidos enjoy as well!